Woolwich Town Hall Wedding Photographer Greenwich London. 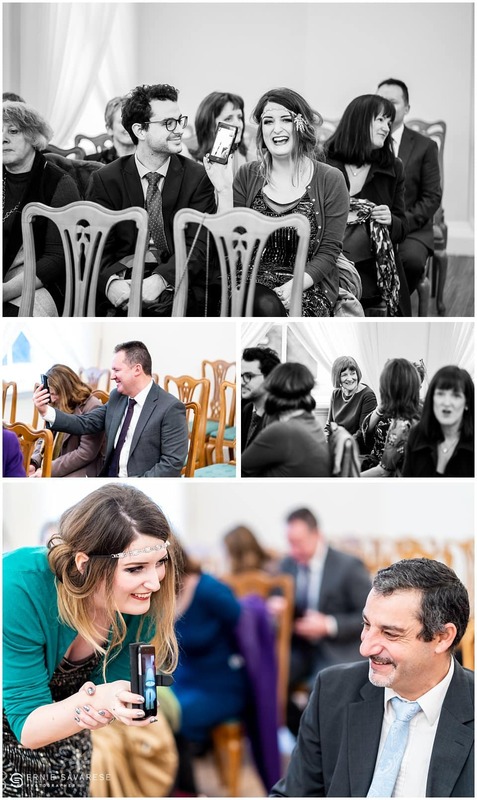 I recently had the pleasure of photographing Ronald and Nick’s wedding at the Woolwich Town Hall in Greenwich. Ronald and Nick have been together for 10+ years and decided that it was time to tie the knot. I was contacted by Ronald earlier in the year and straight away I could tell that he was very relaxed and was really looking forward to their wedding. They had invited close family and friends to witness their special day and there was even a live stream going on during the ceremony for a family member who was not able to be there in person – which I thought was very sweet!! After the ceremony, the wedding party moved on to a local pub called the Dial Arch. The Dial Arch was an ideal venue as it had great space both indoors and outdoors. It was a great place to relax and have some drinks. I could tell that Ronald & Nicks guests were really enjoying their company. I’d like to congratulate Ronald and Nick for tying the knot. I hope they have a fantastic like together. I am a friendly, keen, enthusiastic and incredibly passionate photographer who puts lots of energy and emphasis on making my clients happy. Please feel free to check out my services and my testimonials to see what my previous clients have said about me. If you like what you see and would like to hire me, please contact me to discuss your requirements. You can fill out the form on the contact me page and I will get back to you as soon as possible! Alternatively you can call me on 0203 0020 945 or 07977 20 40 44. 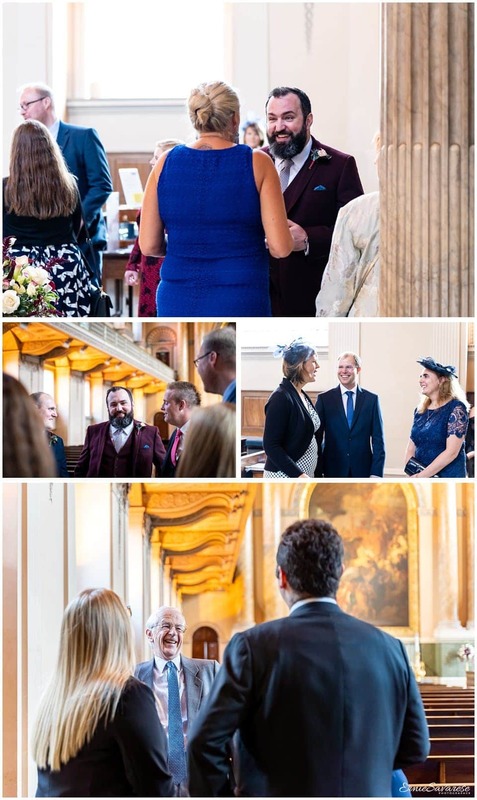 I am a London Wedding Photographer and I would like to thank you for taking the time to read my blog for Woolwich Town Hall Wedding Photographer Greenwich London and I really hope you like the images. Wedding Photographer Greenwich Severndroog Castle. I was delighted to receive an enquiry from Rebecca & Chris as they were getting married at Severndroog Castle in Eltham, Greenwich. 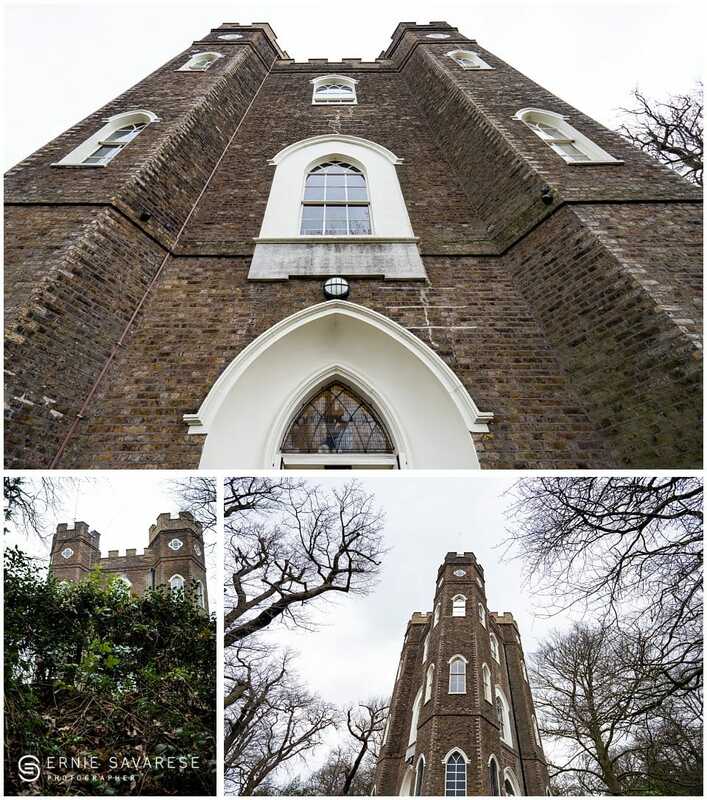 Severndroog Castle is a completely unique wedding venue situated in Oxleas Woods. It is an 18th Century building with a fantastic viewing platform providing spectacular views over London. The good news about the weather was that it was dry. The bad news was that the wind was so strong that the viewing platform was closed for safety reasons which was a real shame. However just before we left, the wind calmed down just enough for us to take a few pictures of the views from the top. Rebecca and Chris really wanted to keep the ceremony small and intimate. The venue was perfect for this and with just close friends and family witnessing their special day it couldn't have been better. The timings worked out great as we managed to get some couple portraits outside just before the wind picked again. If you like what you see and would like to hire me, please contact me to discuss your requirements. You can fill out the form on the contact me page and I will get back to you as soon as possible! Alternatively you can call me on 0203 0020 945 or 07977 20 40 44. I am a London Wedding Photographer and I would like to thank you for taking the time to read my blog for Wedding Photographer Greenwich Severndroog Castle and I really hope you like the images. Old Marylebone Town Hall Wedding Photographer London. As the new year started, one of the first wedding enquiries I received was from Garrow and Shaun. We spoke on the phone which was very insightful as I found out that Garrow and Shaun really wanted the photos after the ceremony to have an urban feel. Shortly after our phone call, they decided to book me. I was so glad they did as they were really easy going and had a keen interest in creating a story that was right for them. I met Garrow and Shaun before they were about to tie the knot and you could see that they were really relaxed and could not wait to be married. After the ceremony, Garrow had a little route planned so we could take some pictures in the nearby streets of the Old Marylebone Town Hall. 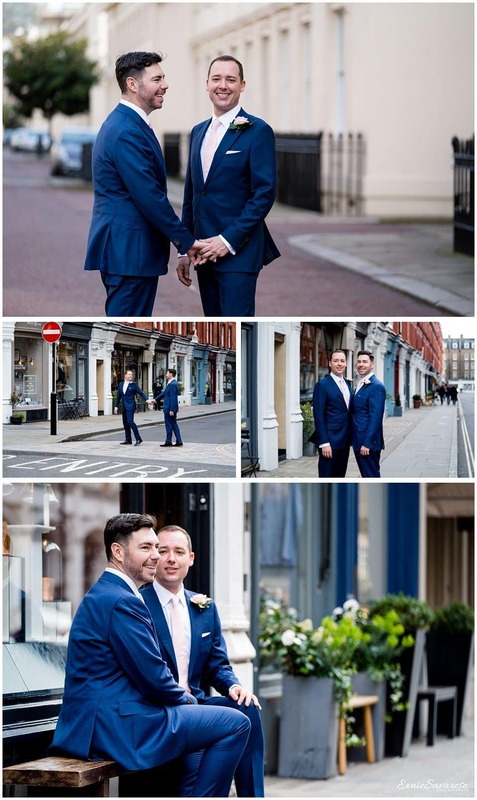 We captured some really natural pictures with a urban feel which is exactly what the 2 grooms wanted. If you like what you see and would like to hire me, please contact me to discuss your requirements. You can fill out the form on the contact me page and I will get back to you as soon as possible! Alternatively you can call me on 0203 0020 945 or 07977 20 40 44. 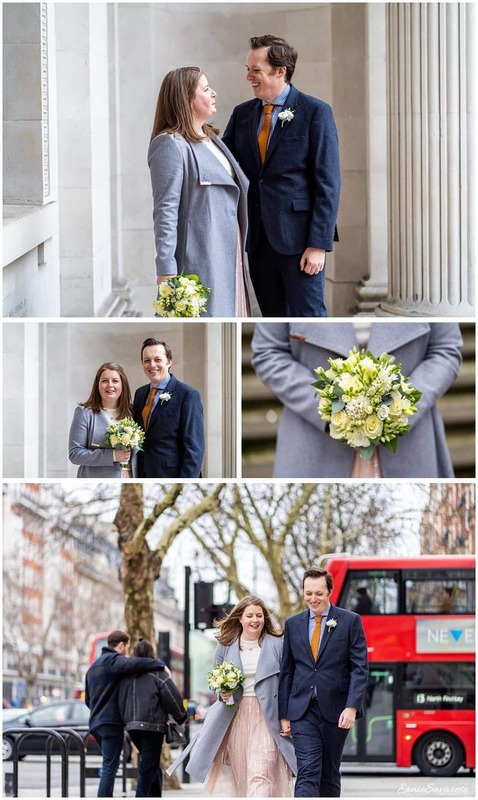 I am a London Wedding Photographer and I would like to thank you for taking the time to read my blog for Old Marylebone Town Hall Wedding Photographer London and I really hope you like the images. Woolwich Town Hall Weddings. Yinka and Victoria were getting married in December at the Woolwich Town Hall. Christmas is a wonderful time of the year to get married. Everyone is in a great mood, decorations are out and celebrations are in full swing creating a fantastic atmosphere. Victoria contacted me to ask if I was available to photograph her wedding which was planned for the following week. I was delighted to be able to accept. On the day of the wedding it was very very cold however Yinka and Victoria both looked incredible - if they were cold it didn't show! During the ceremony the mood was fantastic and everybody was excited – especially Yinka and Victoria's children. After the ceremony we all headed out into the main hall where we took some family and group pictures. I would like to congratulate Yinka and Victoria on their wedding day and wish them all the best for the future. If you like what you see and would like to hire me, please contact me to discuss your requirements. You can fill out the form on the contact me page and I will get back to you as soon as possible! Alternatively you can call me on 0203 0020 945 or 07977 20 40 44. I am a London Wedding Photographer and I would like to thank you for taking the time to read my blog for Woolwich Town Hall Weddings and I really hope you like the images. Old Marylebone Town Hall Registry Office London. What better way to ease into the New Year than photographing a wedding at the The Old Marylebone Town Hall. Tammy contacted me in Dec 2018 about photographing her wedding in 2019. What I didn't realise was that she actually meant Jan 2019....the following week! Photographing weddings at short notice is absolutely no problem at all for me. From 1 hour coverage to a full 8 hours. Needless to say, January was a very cold month so it was no surprise to see Tammy and Simon's guests all wrapped up nice and warm!!! During the ceremony Simon and Tammy exchanged their vows and there was a beautiful moment of happiness between them. After the ceremony we all prepared ourselves for the cold and managed to take some group pictures outside before all the guests froze!! I'd like to thank the lovely couple, Simon and Tammy for letting me photograph their wedding. I wish you both all the best for the future. If you like what you see and would like to hire me, please contact me to discuss your requirements. You can fill out the form on the contact me page and I will get back to you as soon as possible! Alternatively you can call me on 0203 0020 945 or 07977 20 40 44. 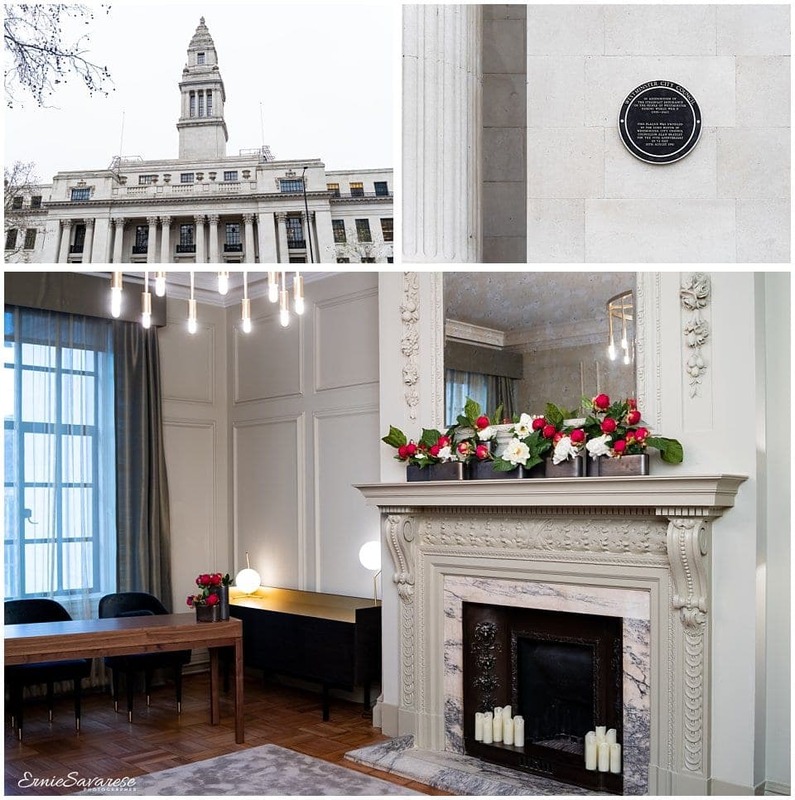 I am a London Wedding Photographer and I would like to thank you for taking the time to read my blog for Old Marylebone Town Hall Registry Office London and I really hope you like the images. Alternative Wedding Photographer Greenwich London. Jasmin and Richard"s wedding was slightly different to most of the other weddings I have photographed in Greenwich. That's not a bad thing at all.. it's just that they wanted to do something completely unique. I would say that 5 different locations including a boat ride is a pretty unique way to spend your wedding day. First stop... the wedding ceremony at the Woolwich Town Hall Register Office. 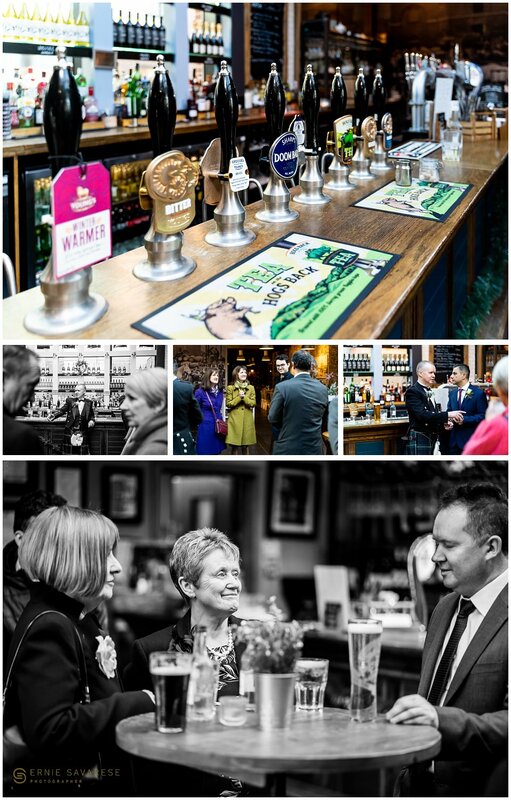 After a short ceremony we headed off to location number 2, The Dial Arch Pub in Woolwich which has a great atmosphere and was the perfect place for Jasmin and Richard to relax and mingle with their guests. Location number 3 was a boat ride to Greenwich. This was really good fun and to top it off, the bar was open for business. Perfect! What more could you ask for! 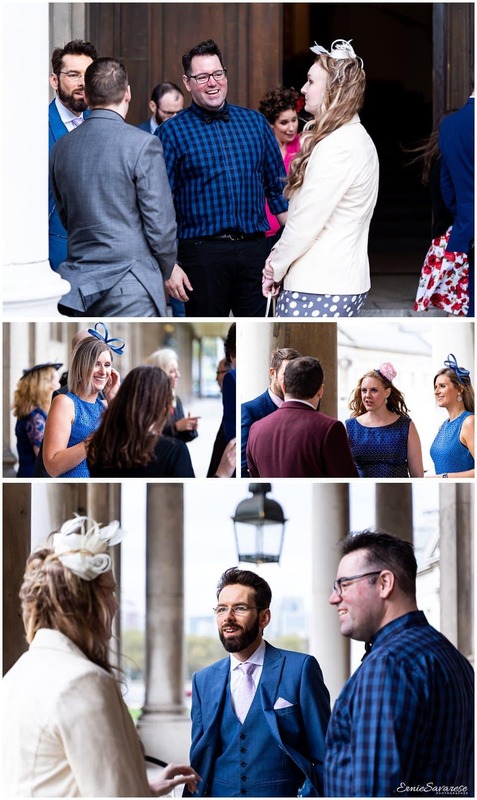 Once we arrived at the Greenwich Pier we walked though the Old Royal Navel College onto location number 4, The Plume of Feathers pub for the wedding breakfast. I was invited to join the guests during the meal and I really did enjoy the food and the company!!! The last stop of the day was Bermondsey Social Club. 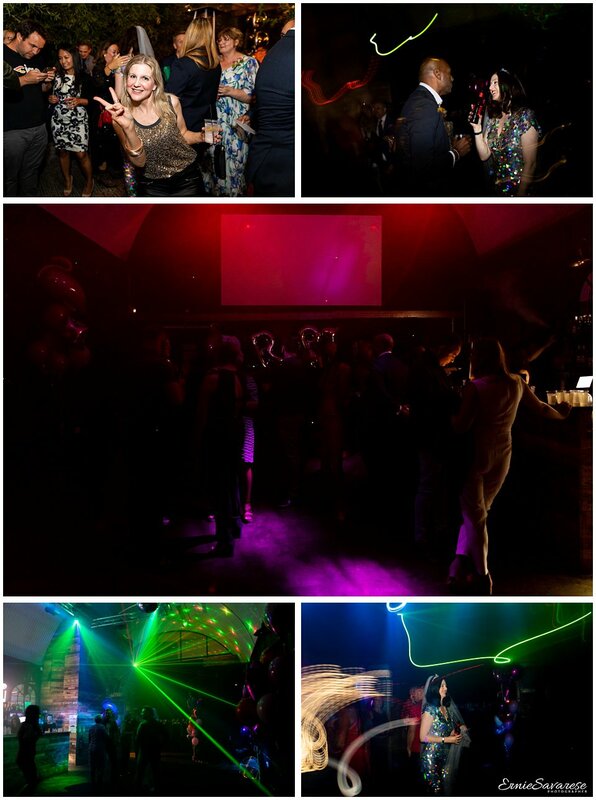 This was when the party mode kicked in and Jasmin changed into her sparkly party clothes and danced the rest of the night away! If you like what you see and would like to hire me, please contact me to discuss your requirements. You can fill out the form on the contact me page and I will get back to you as soon as possible! Alternatively you can call me on 0203 0020 945 or 07977 20 40 44. I am a London Wedding Photographer and I would like to thank you for taking the time to read my blog for Alternative Wedding Photographer Greenwich London and I really hope you like the images. Old Marylebone Town Hall Wedding. Adam and Grace were one of the nicest couples you could ever hope to meet. They were really easy going and a pleasure to work for. Their wedding was the last wedding that I photographed in 2018. What a great way to end the year at the Old Marylebone Town Hall. Adam and Grace had an intimate Registry Office wedding. They wanted candid and unobtrusive style wedding pictures which was no problem at all for me. I mainly photograph most of the wedding in this way. Although my style is mainly reportage, I am very approachable and I am always happy to take formal pictures on request. Once the ceremony was finished, we all headed off outside for some group shots as well as the traditional confetti shot. We were even able to have a mini photo shoot with just Adam and Grace. I would like to congratulate Adam and Grace on their wedding day and I wish them all the best for the future. If you like what you see and would like to hire me, please contact me to discuss your requirements. You can fill out the form on the contact me page and I will get back to you as soon as possible! Alternatively you can call me on 0203 0020 945 or 07977 20 40 44. 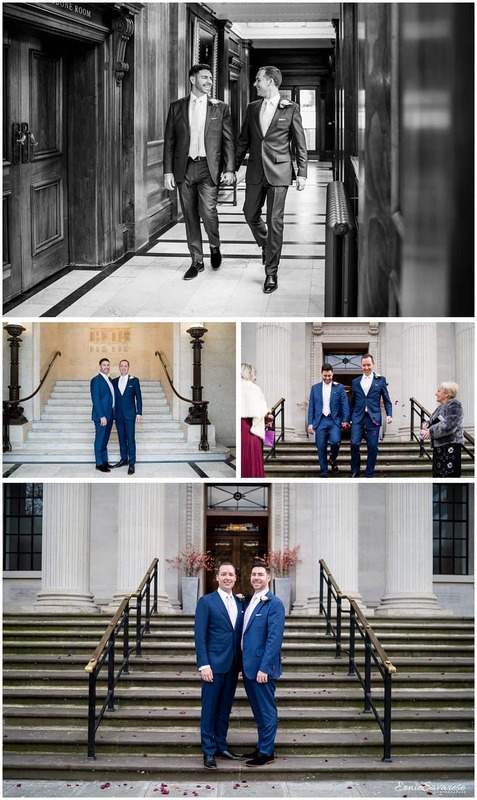 I am a London Wedding Photographer and I would like to thank you for taking the time to read my blog for Old Marylebone Town Hall Wedding and I really hope you like the images. The Old Marylebone Town Hall Wedding. I was contacted by Kamen and Kamilla a week before their wedding at The Old Marylebone Town Hall in December. They had planned on having an intimate wedding with only family members and very close friends. They were getting married in the Paddington Room which was the perfect size for Kamen, Kamilla and their wedding party as it accommodates up to 15 guests. 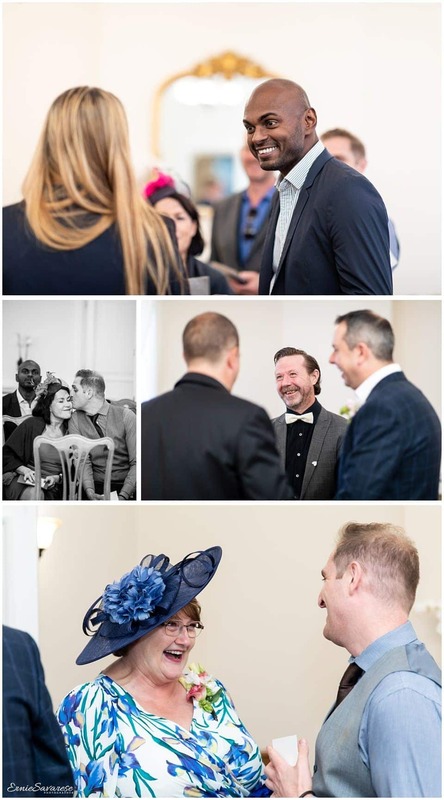 Once the ceremony was finished, they had arranged for a few celebration drinks in the ceremony room so everyone could congratulate the bride and groom on their new journey in life together. Whilst everyone was celebrating, I captured some candid pictures of everyone talking to each other and having a great time – I also managed to take a few shots of the bride and groom on their own. After the celebration drinks were finished, we all headed off outside to photograph the confetti shot and also some group shots. Congratulations to Kamen and Kamilla on their wedding day. I wish you all the best for the future. If you like what you see and would like to hire me, please contact me to discuss your requirements. You can fill out the form on the contact me page and I will get back to you as soon as possible! Alternatively you can call me on 0203 0020 945 or 07977 20 40 44. I am a London Wedding Photographer and I would like to thank you for taking the time to read my blog for The Old Marylebone Town Hall Wedding and I really hope you like the images. Old Royal Naval College Wedding Photography Greenwich. Kathryn and Aaron contacted me earlier last year about photographing their wedding at the Old Royal Naval College in Greenwich. 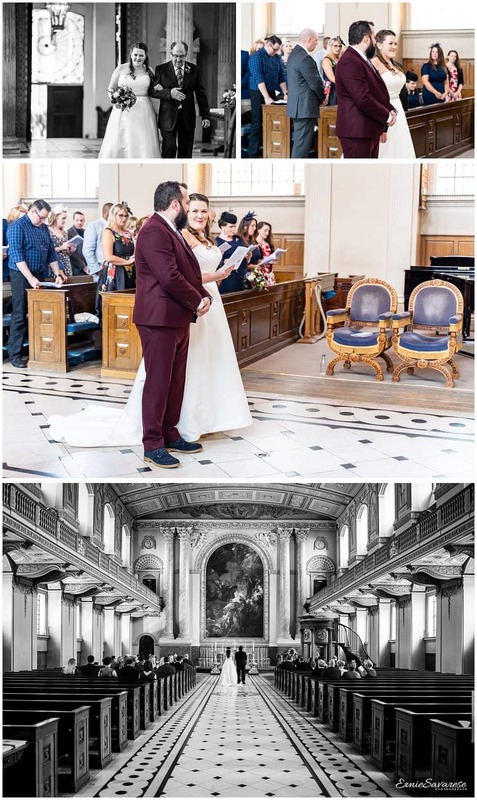 They met in Greenwich but have since moved away from the area however they have such great memories of Greenwich they decided to incorporate Greenwich into their wedding day... and what better place to get married than in the The Chapel of St Peter and St Paul. The Old Royal Naval College is a stunning and historic place to get married. After a beautiful ceremony we headed outside into the colonnades for a few groups shots before taking some pictures around the Navel College. After the couples session we took a short walk to The Cutty Sark Pub where the evening reception was being held. The pub had such a great atmosphere with a fantastic Irish band providing the entertainment for the evening. A good Craic to end a wonderful day. If you like what you see and would like to hire me, please contact me to discuss your requirements. You can fill out the form on the contact me page and I will get back to you as soon as possible! Alternatively you can call me on 0203 0020 945 or 07977 20 40 44. 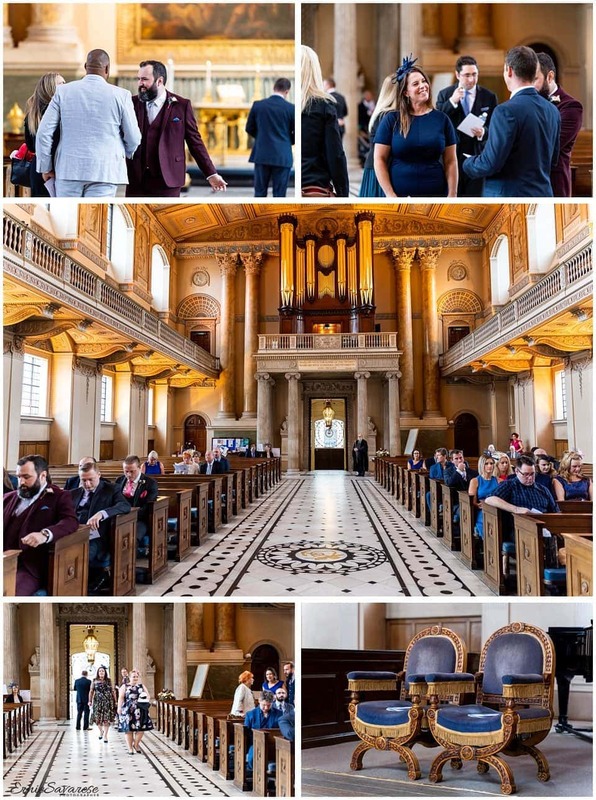 I am a London Wedding Photographer and I would like to thank you for taking the time to read my blog for Old Royal Naval College Wedding Photography Greenwich and I really hope you like the images. Merton Registry Office Wedding Photography London. Jaymin and Komal contacted me earlier in the year to photograph their short ceremony. They were getting married at the Merton Registry Office which is a Grade 2 listed building Morden Park House. One of the benefits of Morden Park House is that it is set in a beautiful park and has a fantastic garden. Jaymin and Kormal had lots of family and friends who were they to join them on their very important special day. When Komal walking into The Lord Nelson Room you could see Jaymin’s face light up with happiness. They were really both excited to get married. The reception was at The Grange in Wallington. By the time we got to the restaurant the weather had cleared up for just enough time so that we could grab some couples portraits in the garden. If you like what you see and would like to hire me, please contact me to discuss your requirements. You can fill out the form on the contact me page and I will get back to you as soon as possible! Alternatively you can call me on 0203 0020 945 or 07977 20 40 44. I am a London Wedding Photographer and I would like to thank you for taking the time to read my blog for Merton Registry Office Wedding Photography London and I really hope you like the images.